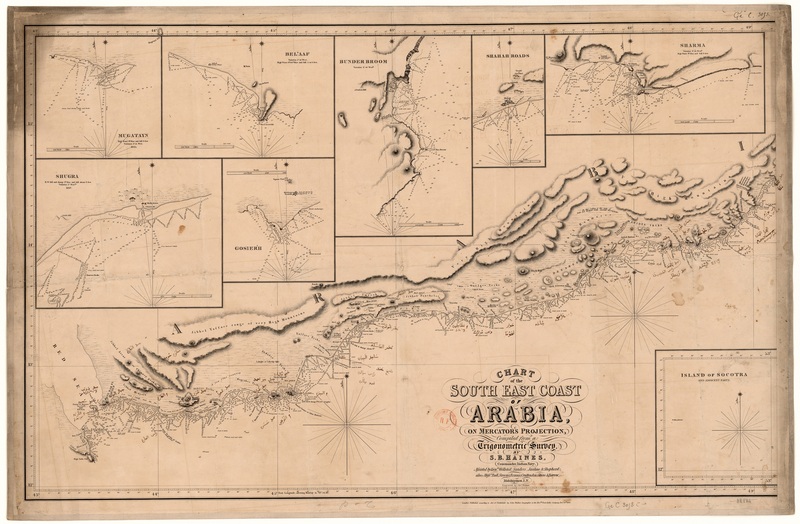 Samuel B. Haines, Chart of the East Coast of Arabia, scale not given, London, 1839. Size of the original: 95 x 61 cm. Photograph courtesy of the Bibliothèque Nationale de France (Cartes et Plans GE C- 3053).